It is just plain too cute for words! As a Sanrio collector, this book fits all the requirements to add to my Sanrio book collection. Even if you aren't planning to take up crocheting in the near future, this book will come in handy for future generations who will want to give it a try as a fun hobby. For myself, as soon as I saw the adorable little creations-- I just knew that I would never get tired of combing through the colorful pictures of the crochet characters (of Sanrio). If you have guests visiting your home, it's another entertaining way to pass up time. Those who are fans of kawaii will want to steal your book away, just for the pictures alone being so adorably cute. An added bonus is that the book focuses on more than one Sanrio character, not just Hello Kitty as the title of the book suggests only. 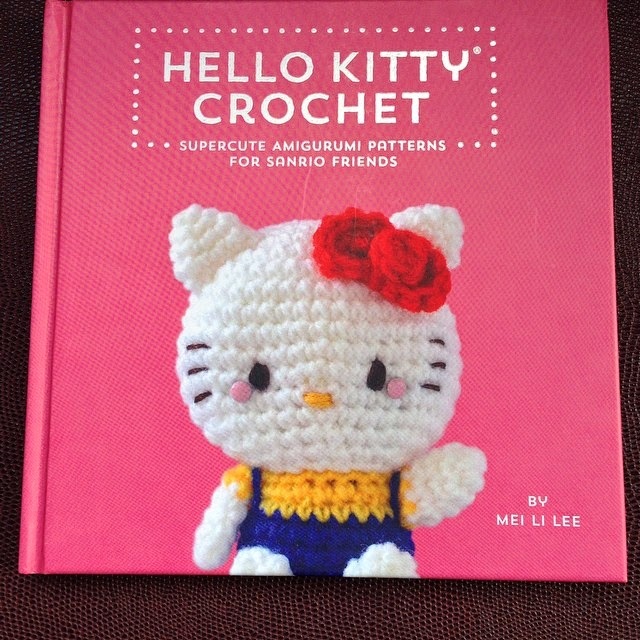 I keep wondering why the book isn't called "Sanrio Crochet," but then again it might be because it won't sell as much as it would if it was represented as Sanrio. To me, Sanrio has to start somewhere to make their name as a popular brand as their character, Hello Kitty. Why not start with this book? After finishing flipping through the book, I found that each character had something little extra that represented their story along with the easy to follow instructions on crocheting each character.